Choose an organization, business, audience, issue, student group, product, service, experience, campaign that needs a visual voice in this world. A great idea that is trying to make itself be known. Something that has a great idea or mission, but people just don’t know about it. Care about it. Love it. Design the change it will be it wants to be. Visualize it…through branding and applying the brand to various touch points. Make it real. Design it some love. Choose an established organization, business, service, experience or campaign that exists in this world but has lost touch, lost favor, is just part of the noise, lost direction with its mission or generally needs clarity, engagement or is a misread opportunity that could be better. Design the change it could or should be. Visualize it…through branding, application of the brand to touch points and other visualization strategies. Motion - animated logo, titles, bumpers etc. Review Application prints/mockups and Brand books we didn’t get to on Tuesday. Refinements to Brand Book printed out. Bind with binder clips so we can play with pagination. Interesting “Edges/Trends” Mapping research. Try and set up your zag and how it connects to a larger “why” or trend in culture. Brand Book Crit and Identity refinements. Bring in updates to your Brand Board. Choose the most important application for your story for change. Design it for next class. Print out/mockup so we can interact with it. Jeremy is out of town. Workday and check in with Ryan. 1. Talk about Brand Books. 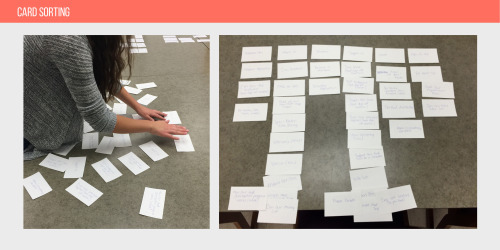 Go over Brand Book Examples from previous semesters and how to present your new brand idea. 2. Review final logo/identity direction. Bring in a printed identity board of your project to get a snapshot of where you are at. Brand Code, Zag Statement, keywords and simple applications (swag) to see it on stuff. Design an Brand Book for your Change. How will you set up your project, talk about it, what voice will it have? What visuals will you need to show the change that needs to happen? Create placeholder/wireframes/quick applications like (buttons, hats, shirts, stickers, flags, banners, etc) to test the identity (kit of parts) out, to play with pacing and create the wireframe of your book. At least 32 pages print and bind with binder clips use Jayhawk Ink if easier. What your Brand dreams at night? Review 2-3 directions. Print out a couple pages. First page...have your logo versions...Second page have your visual morphologies: studies of possible type treatments, color palettes and imagery. For each direction name it and have a list of key words that express it. These words could be from the style section of your Brand Code. Refinements to final logo/identity. Bring in a printed identity board of your project at this point. Can be multiple smaller prints. Big Day to Review Lots of Work! If you are not decided on a name, that is ok. Try a few and see how they look. Design/print a simple page that has your Brand Code, F+D/T diagram and your “our blank is the only blank” statement from the zag.pdf so we have a framework in which to crit the concepts. You tell us the context in which to look at your concepts. 1. Refinements to Brand Code, F+D/T diagram, Zag Statement, mapping the context and further connecting of the dots between between strategy, positioning and the problems of the organization. 2. Refinements to Logos (2-3 final directions). For each explore color variations, vertical signature, horizontal signature (other alternate versions as needed). Test how it is working big (4 inches) and small (1 inch). Develop a portfolio of images which relate to the subject or the visual concept. CAREFULLY consider the communicative qualities of your choice and how that meaning aligns with the voice of the brand. Think STYLE. COLORS. FOCUS. POV. LENS. DEPTH. MISE-EN-SCENE. Brand Code Due and any refinements to the F+D/T Diagram. 1. Create Naming “Lists”. 50 names. 3.Logo/Logotype/Symbol sketches (150 minimum) 10 per page. Multiple concepts of how you will express the big idea. Name the concepts. S.O.B.D. presentations to Wonderfair !! 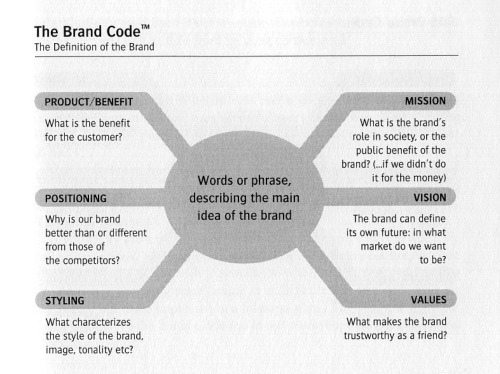 Create the first draft of your “Brand Code” for Tuesday, March 26th. Design it, printout and be ready to share with the class. Begin Naming Lists and Initial Logo/Symbol/Logotype/Identity sketches! 150 due in a little over a week. A simple search of trends and/or “edges” will reveal current research of topics that your brand might connect with. Refresh and Launch Presentations Due. Upload to server as pdf and be ready to present. Pay attention the the F+D/T diagram in ZAG...that really sums up the project opportunity and I really dig that diagram. Secret Project “Black Diamond Blitz” with Wonderfair. 2. Why it needs refreshed or is a worthy new launch oportunity? - What don’t they do very well? What could they do better? 4. Based on Zag reading....Fill out the F+D/T diagram for your project. What could be the focus? The difference? and how does that align with a trend that is happening in the world?